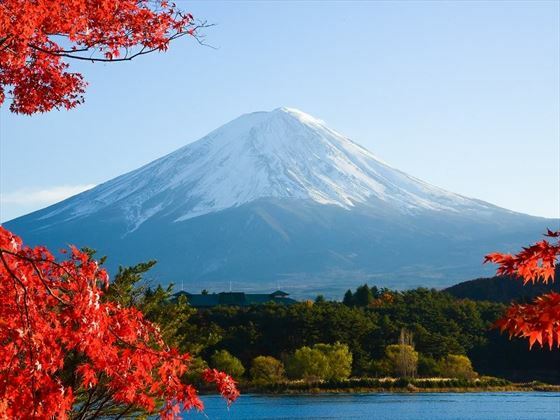 Japan is brimming with fascinating culture, and this wonderful eight-night tour is the perfect way to delve into this eclectic and interesting destination. 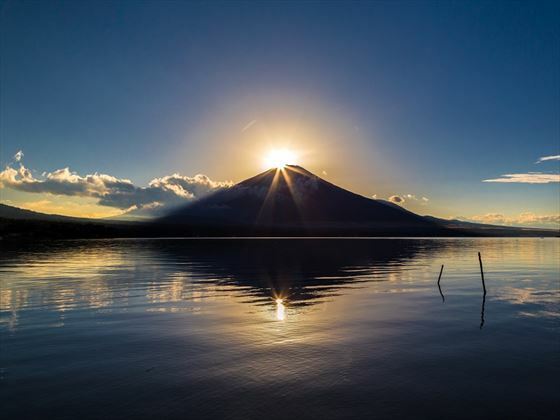 Starting in Osaka and ending in Kyoto, you’ll have the chance to explore some of Japan’s impressive attractions. 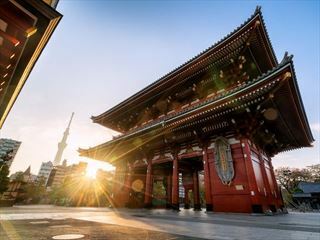 From city tours and delicious local lunches, to the epic Ninja Museum and Osaka Castle, there are plenty of unforgettable moments on this trip. Visiting the country’s impressive shrines is also a jaw-dropping opportunity, and you’ll even get to meet some amazing people along the way (TT). Once you’ve arrived in Osaka, you will be transferred to your hotel via an airport shuttle service. The day is free for you to settle in, before a Welcome Reception drink with appetisers in the evening – a great chance to meet your Travel Director and fellow travellers. After a buffet breakfast, you’ll embark on a city tour of Osaka, including exploring Osaka Castle – one of Japan’s iconic landmarks. First built in 1583 by General Toyotomi Hideyoshi as a display of power, the structure was reconstructed in 1931, and is now framed by a beautiful park that is shrouded in cherry blossom in the spring. Next up in the Abeno Harukas Observatory - the tallest skyscraper in Japan standing at a whopping 300 metres high. Home to an art museum, a hotel and an observation deck, there’s not to do here. We’re certain your jaw will drop when you reach the 60th floor – the 360 degree views of Osaka are phenomenal. You’ll then have some free time to shop in the Umeda district. In the morning you will travel to Mt Koya, a stunning UNESCO World Heritage Site where the Shingon Buddhism sect was introduced by the priest Kukai, who then become known as Kobo Daishi. Once there, you’ll visit the Kongobuji Temple to marvel at its intricately decorated sliding doors, as well as Danjo Garan Temple, one of the first built by Kobo Daishi in Mt Koya. Lunch will be a special, Japanese style vegetarian feast at a lovely monastery inn (shukubo), served by local monks. Afterwards, you will journey to Okunoin, Japan’s largest cemetery and the home of Kobo Daishi’s mausoleum – found in a luscious forest of ancient cedar trees. Later, you will venture to Shirahama for dinner in a local Japanese Izakaya (a laidback gastropub). 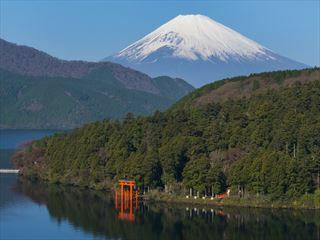 Day four will be spent in the Kumano area – known as the spiritual heartland of Japan, and home to the Kumano Kodo Pilgrimage Route, a wonderful UNESCO World Heritage Site. You’ll then ascend Daimonzaka Hill by foot or by coach to marvel at the Nachi Taisha Shrine, Seiganotoji Temple and cascading Nachi waterfall. The latter is the tallest waterfall in Japan, and a very impressive sight indeed. You’ll continue on to Hayatama Taisha, one of Kumano’s most important shrines, especially in Japanese mythology. Home to more national treasures than some major museums, this location is truly fascinating. Your hotel for the next two nights is the Shima Kanko the Classic, renowned for hosting the 42nd G7 summit in 2016. After a lie in, you will journey to Ise to explore the Ise Jingu Shrine – the most respected Shinto sanctuary of great historical and spiritual significance in Japan. According to ancient tradition, both the inner and the outer shrine are rebuilt from scratch every 20 years. Today you’ll also have the chance to meet traditional free divers. Known as ‘Ama’, you may have seen these women in the James Bond movie ‘You Only Live Twice’ – they dress all in white, dive into the ocean without any diving equipment, and catch the shellfish and seaweed. You’ll love the cheerful stories told by the divers as you tuck into sumptuous chargrilled seafood for lunch. In the afternoon, you will venture to Mikimoto Pearl Island – where pearls were successfully cultured for the first time in the world. You’ll then have some free time to shop at local stores and dine at one of the delicious restaurants. The day will start with a visit to the Ninja Museum in Iga, dedicated to the history of nina and ninjutsu. This museum is full of many interesting artefacts, including old ninjutsu writings and ancient weapons. Next up is Ueno Castle, which served as the seat of the local lords during the Edo Period before being destroyed in a storm less than 50 years later. In 1935, it was finally rebuilt when a local resident provided funding. Soon you’ll enjoy a special lunch with a monk at Shorenji Temple, all the while being taught about the traditions of the Nabari region. After lunch, you’ll travel to Kyoto. A late start this morning gives you the chance to enjoy another lie in. 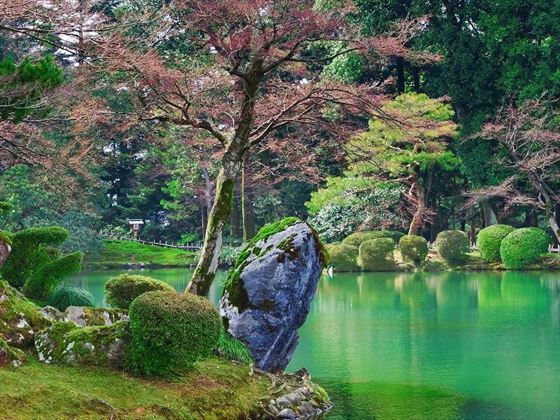 You’ll then journey to UNESCO World Heritage site Kinkakuji Temple, famous for the striking Golden Pavilion that reflects in the water of the nearby pond. You lunch today will be okonomiyaki, a delicious local delicacy much like a savoury pancake, made with cabbage, egg, soba noodles and either meat, seafood or cheese. 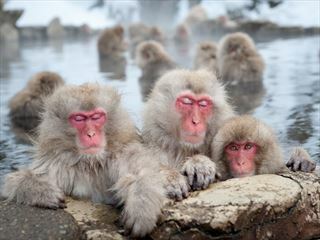 After lunch, you will travel to Arashiyama, a charming district found on the outskirts of Kyoto. Here you’ll explore the beautiful Bamboo Forest, an experience unlike any other, before journeying on to Tenryuji Temple to see one of the most picturesque gardens in Kyoto. In the morning you will explore Kiyomizu-dera Temple, which is perched on a hill and buzzing with activity. 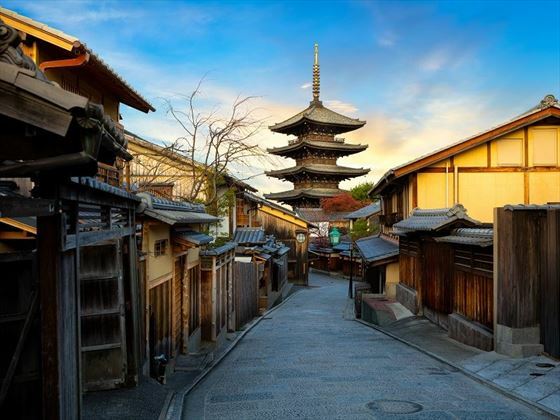 Its liveliness makes it one of Kyoto’s most popular temples, earning its place as a UNESCO World Heritage Site. You’ll then discover Sanjusangendo Hall, a temple that houses 1001 statues of Kannon – the goddess of mercy. Soon you’ll return to the hotel for a relaxed afternoon, before the farewell dinner at a local restaurant in the evening. Today marks the end of your tour. You will transfer by airport shuttle to Kansai International Airport or Osaka Itami Airport for your onward flight. Activities: lunch with a monk at Shorenji Temple in Nabari, lunch at a monastery inn, city tours of Osaka and Kyoto, Nachi waterfall in Kumano, Osaka Castle, the Abeno Harukas Observatory in Osaka, the Kongobuji Temple and the Danjo Garan Temple in Mt. Koya, the Ise Jingu Shrine and Mikimoto Pearl Island in Shima, the Ninja Museum and Ueno Castle in Iga and the Bamboo Forest, the Kinkakuji Temple and Sanjusangendo Hall in Kyoto.